We have "Old Painless" Don, Purveyor of The Box O' Truth joining us to discuss all the fun he has!!! Then Don, Joe and I discuss if the AK-47 (7.62x39) is a viable home defense platform... GREAT SHOW!!! GREAT CALLS AND GREAT CHAT ROOM! Join us live on the next show! 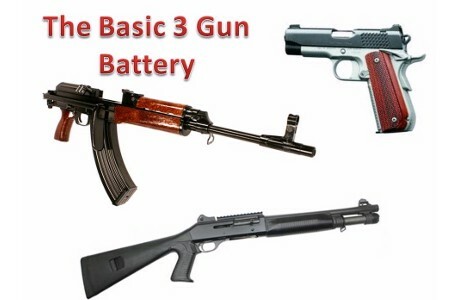 Obama is using UN to move on stealthy gun control... back door like...AJ and I talk about the Basic Three Gun Battery! Join us live on the next show!